This lyrical foray into magical realism is a lush and intense read about family, love, and redemption. The Soria family, living on the edge of a desert, is a haven to pilgrims looking for miracles. Producing these miracles comes with at a price, however, and breaking their carefully constructed rules could destroy their family. One summer, Daniel, current saint and miracle worker, jeopardizes the future of the family, and his cousins Beatriz and Joaquin must look for their own miracles. 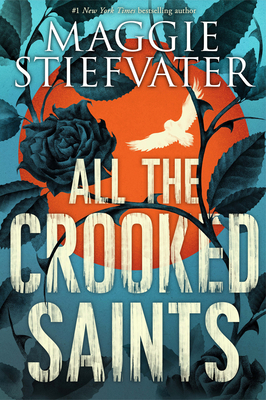 Stiefvater's prose can't be beat, and this is no exception; her descriptive writing leaps off the page and you can really see the desert world she's created.